The Atmosphera® Standard Family. Atmosphera® Standard builds on Arktura’s experience designing and manufacturing custom solutions to deliver a dynamic, scalable, and affordable family of modular ceiling systems. Choose from linear, organic, and faceted designs, available in a wide range of colors. 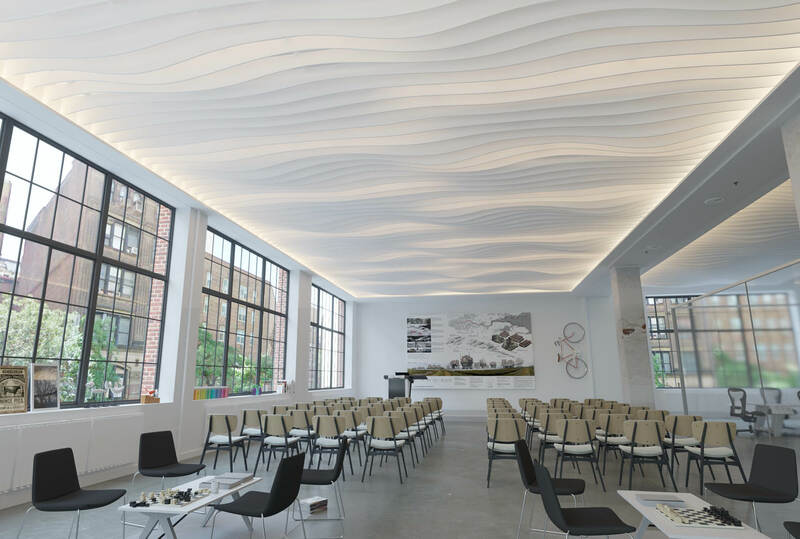 Arktura's Atmosphera® Standard combines years of custom design and manufacturing expertise into an accessible and dynamic modular system. 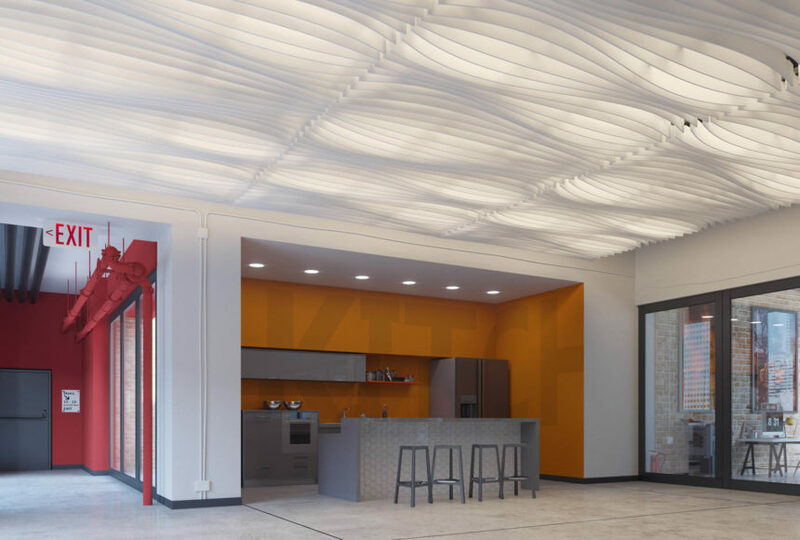 All designs are available in Arktura's high-performance acoustical Soft Sound® material, providing an NRC rating up to .9. Couple that with a gridded layout and you can achieve amazing acoustical performance across an entire space or simply over a desired zone. We help eliminate the guesswork and reduce installation time and cost through our proven, step-by-step “kit of parts” approach. Our easy-to-follow installation instructions provide a clear path to success for your project. Our Atmosphera® Standard Family offers openness and flexibility, to easily accommodate new and existing building systems and lighting. Because it is standardized, Atmosphera® Standard can be in your hands, ready to install, in less time than you may imagine. Arktura takes sustainability seriously. All of our Atmosphera® Standard materials have a high proportion of recycled content and are fully recyclable. Select the style that best suits your vision and project needs. 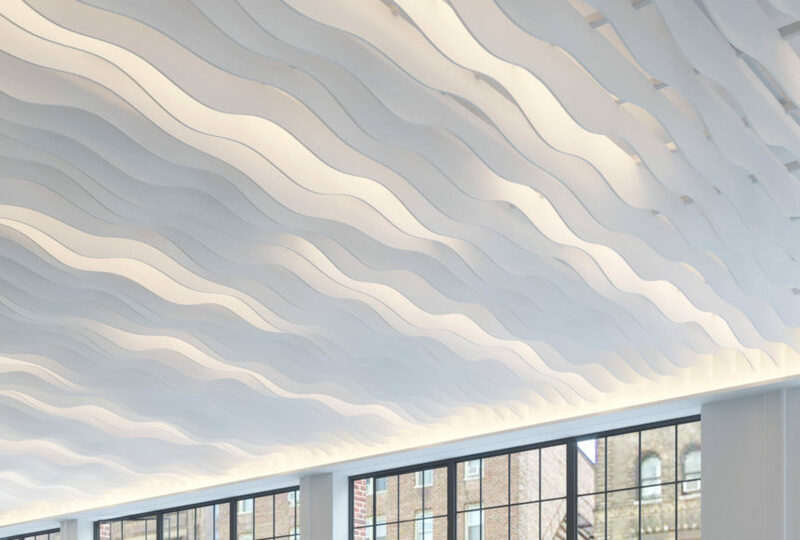 Pick from a variety of linear, undulating, or faceted designs. 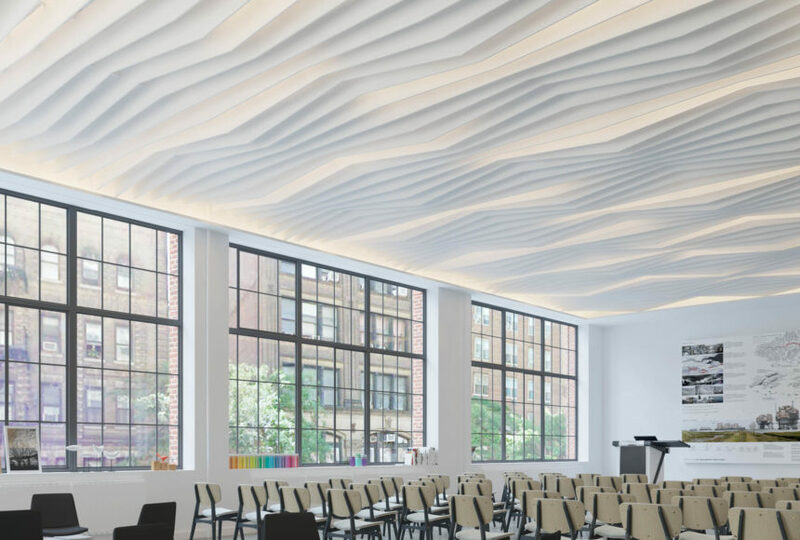 Select modules are available in both steel and Arktura's performance acoustic Soft Sound® material variants. Modules are available in a variety of colors. See our powder coat and Soft Sound® color brochures for more information. All Atmosphera® Standard modules are scalable by design. Select the quantity of modules needed for your project.